Dr. Boeker receives advice from Sparky. Dr. Boeker is board certified in general adult psychiatry. He was trained in psychiatry at UNC, Chapel Hill, which included service at both the UNC Neurosciences Hospital and Dorothea Dix Hospital. He came to UNC from Brown University Medical School where he completed his psychiatric rotation at Butler Hospital, one of our country's oldest psychiatric hospitals. Dr. Boeker employs the biopsychosocial model of patient care, which emphasizes attention to how the illness affects the patient's mind, body, and social situation. The preservation of life is the foremost objective, but meaningful recovery from psychiatric illness also demands improvement in the quality of life and maximization of function. Illness, and recovery from illness, are unique in each patient. Treatment, therefore, may sometimes require family involvement, lifestyle changes, and coordination of care with the patient's other doctors or therapists. Arts - Before returning to school to study medicine, Dr. Boeker earned a Ph.D. in theatre. He has taught theatre at the University of Virginia and worked as a theatre critic for newspapers in Atlanta and Chicago. This background has served him well as a doctor, and especially enhanced his treatment of artistic individuals with psychiatric illness. Autism - When a family member was diagnosed with autism, Dr. Boeker took a personal interest in this increasingly prevalent illness. As a psychiatric resident, he devoted much of his elective study to a rotation at the TEACCH Center at UNC-CH. Although there is no cure for autism, there are pharmacological and behavioral approaches to treatment. Insomnia - Shakespeare observed in Macbeth that sleep "knits up the ravell'd sleave of care." Dr. Boeker has observed (in an admittedly less poetic way) that poor sleep is the single most common complaint of his patients. The causes of poor sleep are legion, and the solution should remedy the underlying cause, rather than simply resort to an overwhelming dose of sedative medication. Psychopharmacology - The most significant progress in clinical psychiatry in the past decade has been in the area of medication, particularly in the treatment of schizophrenia and bipolar disorder. But new medications used to treat depression, ADHD, addictions, dementia, and other mental disorders have also come upon the market. Dr. Boeker takes care to keep up to date with these new medications and their effects, side effects, interactions with other medications, and suitability to the individual patient. 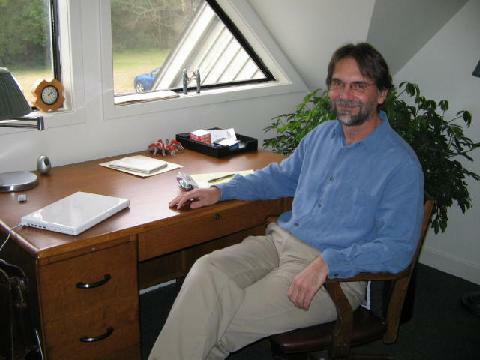 Psychotherapy - Dr. Boeker was trained in psychodynamic psychotherapy by analysts associated with the UNC Department of Psychiatry and the UNC-Duke Psychoanalytic Institute. In 1997, he was awarded a fellowship with the American Psychoanalytic Association. Dr. Boeker has found both insight-oriented and cognitive-behavioral forms of psychotherapy to be helpful, if not essential, in the treatment of a wide array of mental illnesses.